Leading automotive manufacturer Daimler AG has fully integrated 3D printing technology into the development process and series production for its commercial vehicles segment. 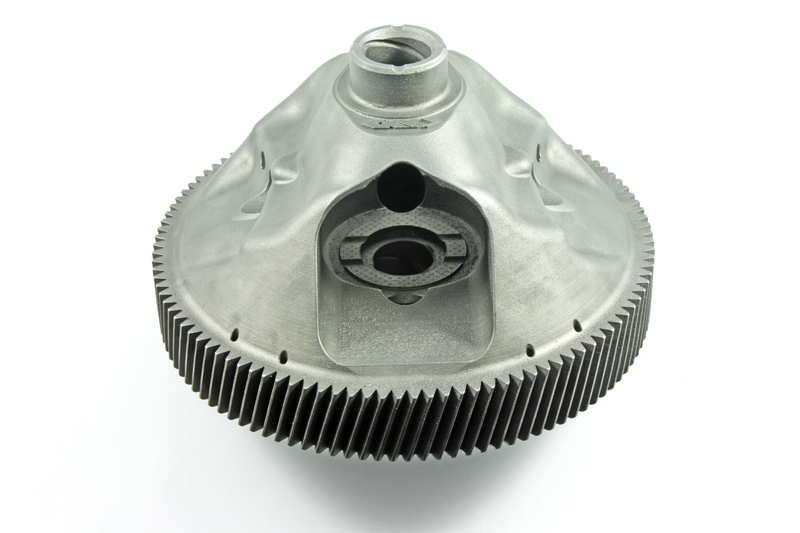 The manufacturer recently teamed up with Premium AEROTEC and EOS to work on developing and implementing next-generation industrial additive manufacturing, and Daimler, the parent company of Mercedes-Benz, put its commercial 3D printers to use last summer to help Mercedes-Benz Trucks deliver thousands of on-demand replacement parts. Each year, Daimler produces over 100,000 prototype parts for its individual company divisions, including Daimler Buses. One of the leading technology providers in the bus and coach sector, Daimler Buses has over 25 years of experience 3D printing in the production of trucks and prototypes. While conventional methods of manufacturing previously had to make several components for one bus part, 3D printing makes it possible to produce these complex bus interior parts in just one step. Daimler Buses receives daily requests from customers who are looking for special equipment features and components, or who need replacement parts, that 3D printing could easily handle. Now, for the first time, Daimler Buses will be using 3D printing technology to quickly fulfill customers’ on-demand individual wishes, replacement parts, and small series production for its Mercedes-Benz and Setra brands. The 3D printed parts correspond with Daimler AG’s injection molding stipulations, while also steering clear of the costs for component storage, tool production, and extra material disposal. All 3D printing process innovations for Daimler Trucks & Buses were very quickly introduced through a group-wide research and advanced development project. Before this announcement, Daimler Buses had already provided about 780 3D printed components for customer vehicles, and over 150 different replacement bus parts are currently undergoing feasibility and validation studies. As we know, 3D printing allows for more complex geometries in components, and the special and low-volume parts that Daimler will be 3D printing can be modified to fit special customer requests and design requirements. It will only take a few days, from idea and design to production and delivery, to complete the entire process, which will be very economical for customers ordering small series and batch sizes from 1 to 50 units. Left: positioning of the banknote compartment in the side paneling on the left-hand side of the driver’s area. Right: complex 3D printed stowage compartment for banknotes, which used to consist of several components. The special and replacement 3D printed parts that Daimler Buses will produce for customers are available on short notice, and made with high-quality polyamide plastic components, created on what Daimler calls “state-of-the-art 3D printers” that use the SLS printing process. Since design engineers aren’t held to the constraints set down by traditional production processes, the 3D printed components are more lightweight, and can be more closely adapted to their function and purpose. Customers all over the world can quickly reorder any 3D printed part by looking up the specific part number, which can be found in the Daimler Buses order code lists and replacement parts catalogs. In addition to saving time, Daimler Buses is also saving its small series and special parts customers money, since it’s not a requirement any more to make all-time stocks, which helps avoid unnecessary surplus production and parts stockpiles. All special parts can be 3D printed in exactly the quantities that are needed – no more, no less. This also helps to protect the environment, and efficiently meets customers’ needs. Many components have already been adapted and 3D printed to meet customers’ wishes, such as retaining strips, drawers, adapter and surround rings, and cover moldings. One example of 3D printing making it possible to produce complex, moving parts, which used to consist of several components, in one easy step is a multi-piece stowage compartment for banknotes. Mercedes-Benz will, upon request, integrate the compartment into the side panel in place of the cup holder on the bus driver’s side; some customers even request special shapes and color-coordinated components that match the inside of their touring coaches. The component features multiple parts, including the lid and the handle, hinges and assembly clips, and interior compartments. Traditional production processes meant that these individual parts had to be manufactured by injection molding and thermoforming tools, and then joined together. But thanks to 3D printing, these complex compartments can be produced in one step. Discuss in the Daimler Buses forum at 3DPB.com.